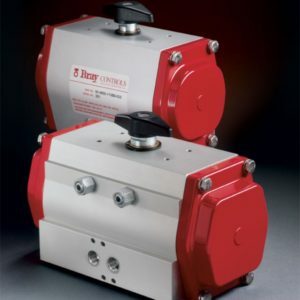 The Series 92/93 actuators were designed primarily for pneumatic operation up to a maximum pressure of 140 psig (10 Bar) and for temperature ranges of -4°F to 200°F (-20°C to 93°C). For higher and lower temperature applications, consult factory. 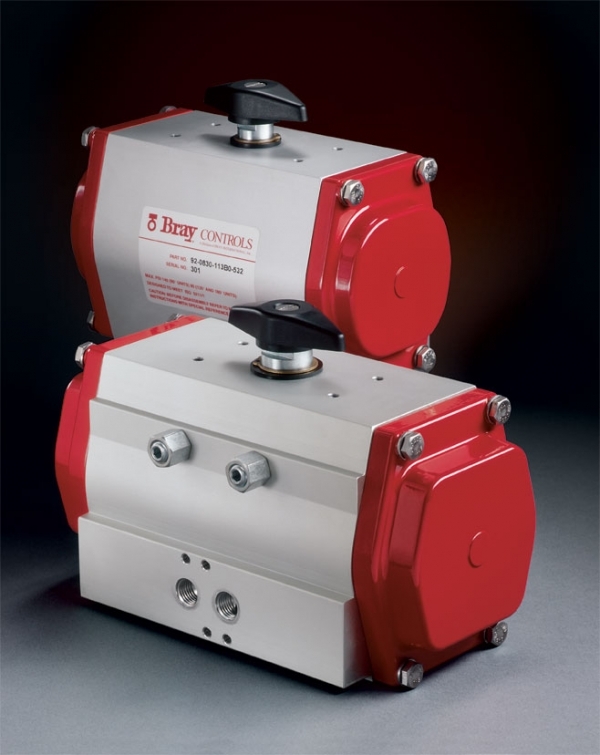 Bray actuators comply with ISO 5211 dimensions and mount directly to Bray valves without using external linkages. Field installation is simple, misalignment is minimized and contamination buildup between valve and actuator is reduced.